Google quietly announced on Google+ and in the Google Maps Help forum that the new version of Google Maps for Android now supports bringing over your custom My Maps into your app. 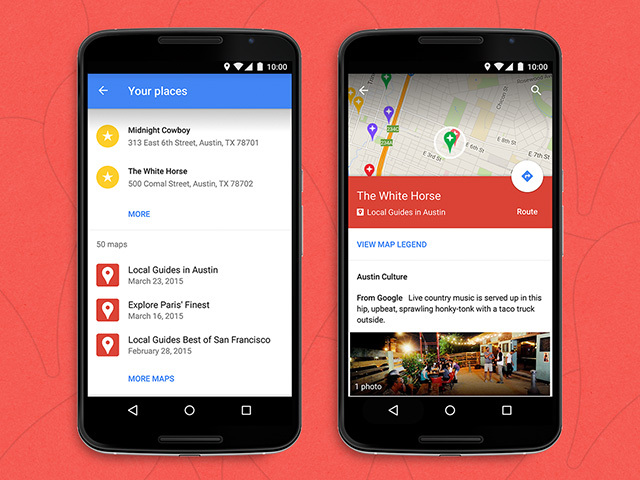 Google said, "Take your custom maps to go: Rolling out today, view your My Maps on the latest Google Maps for Android." 2. Touch the side menu > Your places. 3. Scroll down to see your My Maps. 4. Touch one to show it on the map. There are detailed instructions on how it works over here. So for all you maps lovers out there, give it a try.